Getting anywhere with the 2009 campaign was like slogging through quicksand. We ultimately had one-fifth the budget of the previous year and high partner expectations. To break through the clutter with fewer resources, we came up with affordable tactics, such as contests of every variety promoted primarily through digital and social media to create Web site traffic, buzz and greater awareness among younger drivers. We’ve all been there — working hard and creating a campaign, project, program or tactic where everything is “golden.” That’s what happened with the Alliance to Save Energy’s “Drive $marter Challenge 2008” consumer campaign on fuel efficiency. We exceeded goals, won awards, developed cutting-edge tactics, and created powerful partnerships with 19 nonprofit, governmental, trade association and for-profit entities to dramatically extend the campaign’s marketing reach. We couldn’t wait to build on this success with an even more exciting 2009 campaign. Then, reality intervened with the economic meltdown, our largest funder wanting to go in a new direction and so on. Getting anywhere with the 2009 campaign was like slogging through quicksand. We ultimately had one-fifth the budget of the previous year and high partner expectations. To break through the clutter with fewer resources, we came up with affordable tactics, such as contests of every variety promoted primarily through digital and social media to create Web site traffic, buzz and greater awareness among younger drivers. Take a look at the top four videos from our “Drive $marter” contest winners, that just goes to prove that necessity is absolutely the mother of invention. 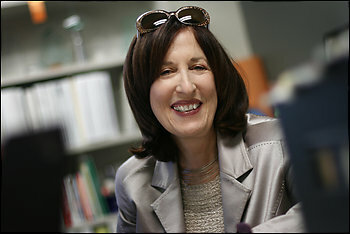 Rozanne Weissman, former senior director, Consumer Campaigns, Alliance to Save Energy, was responsible for multimedia consumer campaigns that focused on home and vehicle energy efficiency. She has managed 19 national and statewide campaigns for the Alliance. Weissman brings more than 20 years of award-winning management and hands-on experience from both private and public employers. She has won more than 60 awards for her work. Connect with Rozanne on LinkedIn and on Twitter @prlady007. Join Weissman for her session “Making Less ‘More:’ Creative Strategies for Working With Fewer Resources” at the PRSA 2010 Association/Nonprofit Seminar on March 25 in Washington, D.C.